I don’t normally enjoy short story collections but I decided to pick this up after seeing Jess Walter’s novel ‘Beautiful Ruins’ on so many best of 2012 lists. I enjoyed this more than I have enjoyed the few other collections I have read, although it was a pretty miserable read. Most of the stories are quick and easy to read and, unlike my previous experiences with short story collections, I did not feel a sense of frustration when each story ended due to wanting more. Most of the stories are set in Spokane, Washington. Even though I love Washington State, I can safely say I never want to visit Spokane as a result of reading this book! Most of the stories revolve around similar themes including fractured parent-child relationships, cheating and divorce, drug and alcohol dependency, homelessness and poverty. There are 12 stories, all centred around loser men. 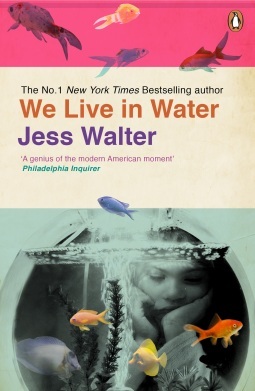 I found this a bit strange until I read the 13th chapter, which is a statistical abstract about Spokane written from the author’s point of view, and I discovered that Jess Walter is actually a man – I’d assumed because of his name he was a woman. By far my favourite story was ‘The Wolf and the Wild’, which is based on one of Walter’s real-life experiences. It is about a white collar criminal who works as a teaching assistant in a school for part of his community service. It was the only story which I felt had even a grain of happiness, even though it also emphasises the poverty and lack of male role models which many children in Spokane suffer. I would recommend this book as it offers a window into life in an impoverished, troubled American city and its unfortunate residents. Story collection about miserable loser men and messed up relationships.